Here, we start another step by step tutorial about creating communities on Rehub. I will describe creating Deal (or Coupon Community), but you can use this for any kind of communities where users create your content. You will know many secrets, tips, interesting plugins. What do you need to have on website to make it as community? I think next: easy registration, User Profile pages where they can easily control their info, User submit frontend forms, Point system (rank, badge system), Bonus sections for Users with high rank, advanced communication channels like private chats or forums, easy structure of site. Lets talk about each of parts. But before this, you must install some helpful plugin. First of all, install Buddypress. For this, go to Plugins – add New and type “Buddypress” in search form. 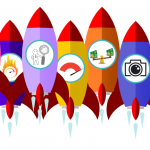 Then, install and activate Buddypress. Do the same for plugin “MyCred” if you need point system. 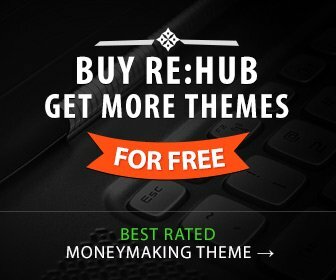 After this, go to Rehub – plugins and download our bonus plugin RH Frontend Form (for user submit), RH Cloak (for modification of user links) and RH Membertype PRO (this is optional, download and install it only if you need advanced Member types on site. Go to Theme option – Header and menu and enable Shop/Comparison header layout OR Customizable Header Layout. Activate this way only if you need advanced registration with email activation. For this, go to Settings – Buddypress – Pages. And choose page which will be used for register page. If you don’t have such page, create it and name it as “Registration”. Then choose it for Buddypress. Now, you can also synchronize this page with Login/Register link which you enabled in previous step. For this, go to theme option – user option – Add custom register link and add link to your Buddypress Register Page. This will redirect users to this separate register page when they click on “Register” link inside Login Popup. This is most easy part of community site, because you don’t need to do any actions. Just enable Buddypress on your site. If you want to extend User profile page, you can do this for two areas. First area is sidebar area. 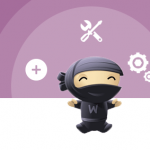 Once you do this, you will have widget area which you can configure in Appearance – Widgets – Buddypress Profile sidebar. In this place you can add Buddypress widgets, for example. They will be visible only on User profile page. 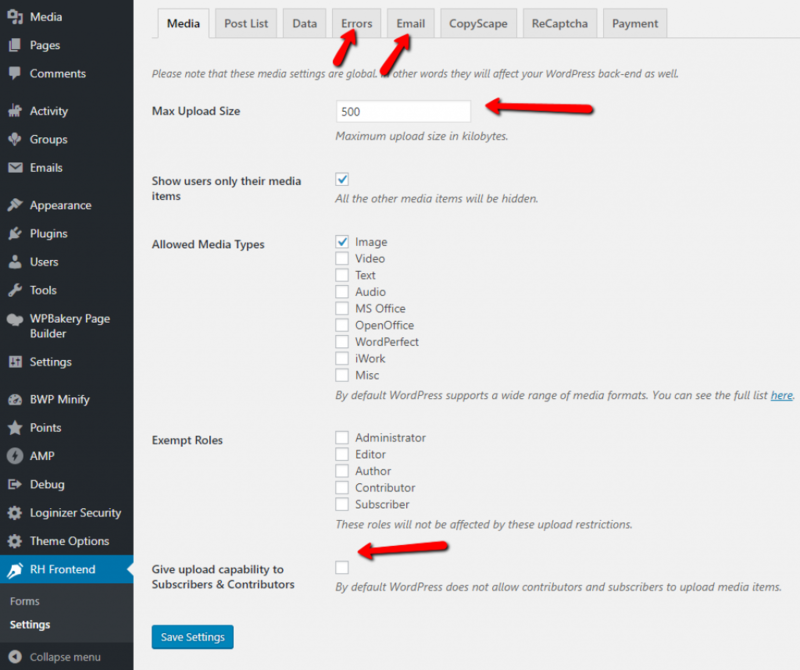 I recommend also to enable/disable modules of Buddypress in Settings – Buddypress. Usually, i deactivate Activity module, because it’s useless for user submit and used only by spammers. Also, some settings of Form is available when you create your form. When users submit links, of course, they will use their own affiliate ID in links, so, you can’t get commission from such links. We made special plugin which can automatically replace user affiliate IDs to your IDs. You can download plugin RH Cloak Affiliate Links in Rehub – Plugins. It has 3 modules: Link cloak, statistic and Rewrite Links. You will need module Rewrite Links. I will show example with Amazon Links. It can be much longer. Most important part is “https://www.amazon.com/Apple-iPhone-GSM-Unlocked-5-8/dp/B075QMZH2L” – it’s link on product page and tag=wper20 which adds affiliate tracking ID to link. tag= is url parameter. All affiliate ids will have this parameter before affiliate id. wper20 – is affiliate ID. If you click on such link and buy product, user who has affiliate ID wper20 in Amazon Affiliate system will get commission from such sale. 100% is probability. 100% means that plugin will change link always. But, maybe this will be not best solution for users and they will not want to post such deals on your site when they can’t get some money. So, you can share commission 50%/50% when you set probability as 50 value. In this way, plugin will change link only in 50% of cases. Plugin has several modules which can be used in most of cases. Basic is Point System when user gets points for special actions. Common settings for this system is in Points – Settings. Then, go to Points – Hooks and enable actions which will give points to users. Usually i use Points for logins, for comments, publishing content, Buddypress hook and Hot, Thumb Likes and Wishlist Hook. When you have point system, you can also enable Badge and ranks for site. Rank will be assigned to users once they get special amount of points. Rank can be only one for each user. Badge is special image which user can get for special actions. For example, you can give special badge when user post 10 posts on site. You can also download images for badges Also, many image sets can be found on site freepik.com or similar. Shortcode works as wrapper for content. This means that you can add anything inside shortcode. For example, you can create different forms with different parameters, like different Post submit limit. Then, wrap shortcode of such forms with different shortcodes of Mycred to give access to such forms to users with different number of points,ranks, etc. I want to give you some interesting example, which i prefer to use. This form will be visible only for user with points more than 100.
another ref “ref_overall_post_likes” for HotMetter hook. There are many greate membership plugins for wordpress, but mostly, for community sites, Rehub theme + Buddypress is enough for membership, because WordPress has own Role system and Buddypress has Membership system. I also want to give you some interesting tips for advanced using of WordPress, Buddypress and theme membership system. First of all, you can install our special Bonus Plugin – RH BP Membertypes which you can download from Rehub – Plugins. 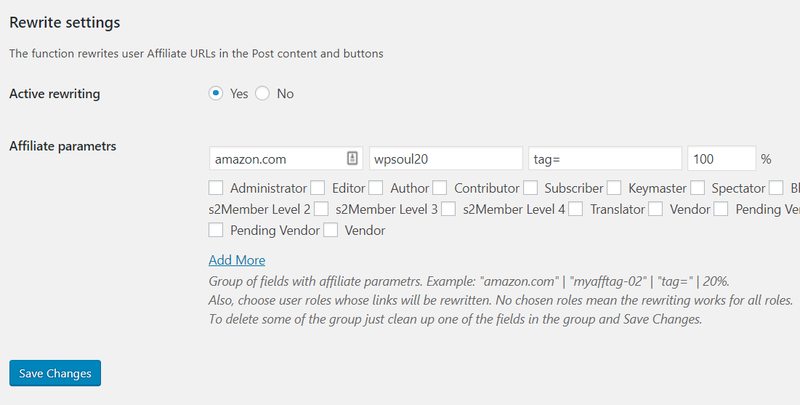 This plugin can be used to create custom Member Types and assign them to roles. In previous step, we wrote about Point system. Rehub theme also has additional function which can be useful when you want to give users better Member type or role with more access. This option is in Theme option – Buddypress option – MyCred option – Give user roles for their Mycred Points. In this field you can add all roles and points which will give roles. Sometimes, you can be confused about Member types and Roles. What do you need to use and why? How can you synchronize them? Buddypress Membertype is own function of Buddypress. It’s working as User categories, but can be also used to give different access for users. Instead of roles, user Member types are visible on site, you can see small label of Member type near user name. One important difference between Roles and member types is that Member type can be only one for each user, but user can have unlimited roles at once. Also, Member types can be used to collect different data from user registration, because they are integrated in Xprofile (Users – Profile Fields). For example, you can create Business Member type and Customer member type. And assign additional fields in registration form depending on Member type. When to use Roles and when to use Member types? Well, for most of plugins, you must use Roles. For example, in previous step we wrote about different user links for different roles. But, my advice – use Member types always directly when it’s possible. Anyway, we have added special bridge, which can be used for synchronization between roles and types. We already wrote about it in previous step – plugin RH Member Types. With help of this plugin, you can create different custom Member types. In end of options for each membertype, you will see option to assign role. Here you can choose roles which can be assigned to Member type. Once user gets this role, he will be automatically assigned to Member type. There are a lot of ways to use roles and Member types. In previous steps we wrote about different user links for different roles. The same can be used to show different content for different roles and member types. Inside content you can use also Frontend Forms and any shortcodes from other plugins and you can have unlimited combinations. You can set even different Post Submit Limit in Frontend Forms in Form settings – Extended. We also updated our special documentation about theme conditional shortcodes for Roles and Members where you can check all available shortcodes of theme. I don’t recommend you to make too complex membership system. 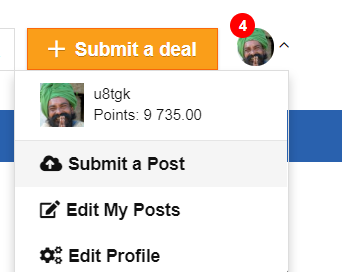 For deal sites, I usually use only Point system + theme option to give different member roles to users based on their points. Then, i use these roles in RH Affiliate Cloak to give different probability of changing affiliate links for different user roles. Another way which I use is when i give users custom member types based on their points, then, I make special bonus page for users where I place different high valuable content and place it inside member type conditional shortcodes to hide it from all users except users with special member type. If you check most of top communities, they have very simple, clean structure. I see that many buyers do the same mistake. They try to overload their homepage with tons of blocks. This will just increase page load time and will confuse users. Check top communities: hotukdeals.com, slickdeals.net, mydealz.de. They have very simple structure of homepage. Just list or grid + sidebar. We created two special modules for the same: Deal Grid and List with thumbnails. You can find them in Page builder. We recommend to use Recash child theme for any type of communities, because Recash child theme has deal grid and lists modules as default. You can also assign Top featured carousel, filter panel to modules. Check video about page builder. For sidebar – I recommend to use our special Rehub: Top offers widget, Rehub: Deal of day, Rehub: Ajaxed tabs, Rehub: Post lists. If you want to stick some ads in sidebar, use widget Rehub: Sticky on Scroll. Am wondering if this is possible with Mycred and frontend publishing. To allow my users to submit a deal with their Mycred point. That’s every time they submit a deal on my site using frontend form, their Mycred point will be deducted?